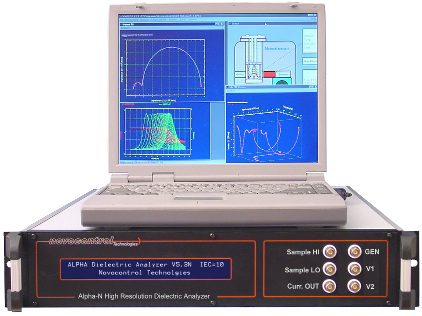 Impedance analyzers measure the complex impedance Z*(ω) = Z'(ω) + jZ''(ω) between electrical ports of a system under test in dependence of frequency ω/(2π). For materials analysis, the Z*(ω) spectrum of two or more electrodes with the sample material in between is measured. Depending on the sample material, the demand on the performance of the impedance analyzer may be extraordinarily high. As a consequence, the quality of measurement results usually depends strongly on the analyzer performance. In practice, the focus is less on extremely high accuracy, but rather on the determination of both components (i.e., real and imaginary parts) of Z*(ω), permittivity ε*(ω) or conductivity σ*(ω). Besides the frequency range, the impedance range and the tan(δ) or phase accuracy are the most important performance parameters. Combines features of general impedance analyzers, dielectric and electrochemical measurement systems, extends tan(δ) accuracy. Convenient for nearly all kind of materials or components. Measures broadband low loss dielectrics like e.g. Polyethylene. 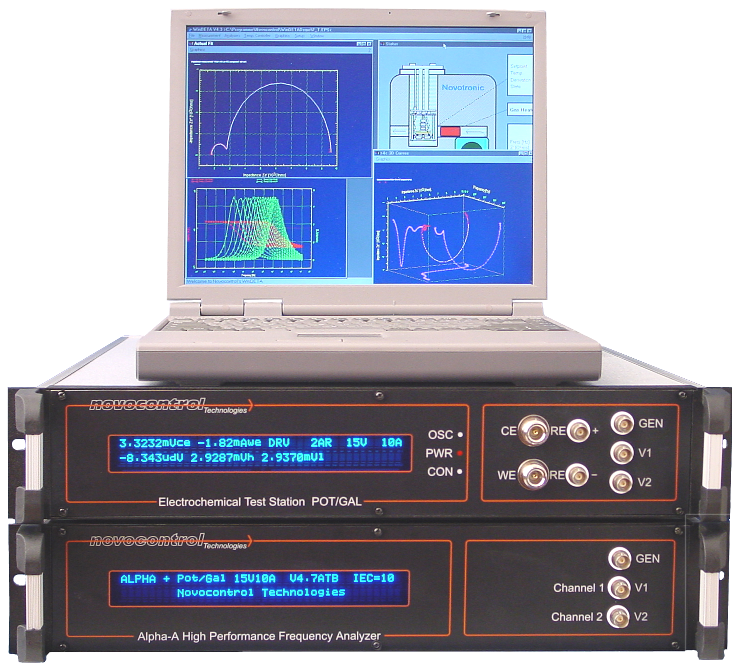 Supports a series of high performance test interfaces with special functionality like integrated active sample cell, 4-wire high impedance measurements, high voltage / high current measurements and potentiostat, galvanostat functions for electrochemical applications. 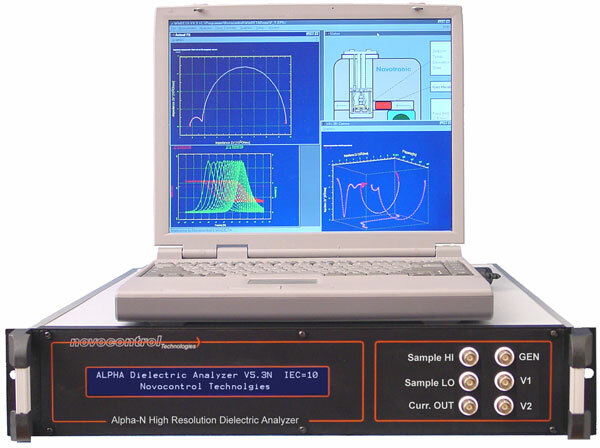 Combines features of general impedance analyzers and dielectric measurement systems, extends tan(δ) accuracy. Convenient for nearly all kind of materials or components. Measures broadband low loss dielectrics like e.g. Polyethylene. Convenient for insulating samples like polymers, plastics, ceramics and glasses. Convenient for sufficient conductive samples like semiconductors, electrolytes and non isolating electronic components. At frequencies above about 10 MHz, electrical wave effects become prominent and microwave techniques have to be applied. 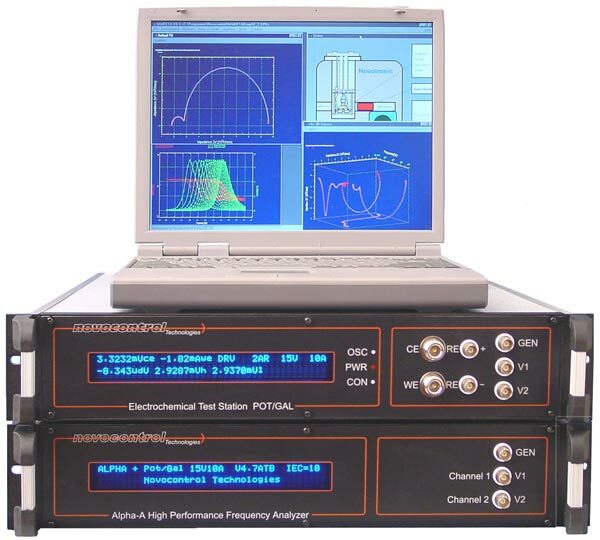 Supported by WinDETA: Keysight E4991B, Agilent E4991A, HP4291, HP4191 RF impedance analyzers.